With the development of the society, there is a huge demand for the energy. But the natural energy sources are limited, and they will be used out one day in the future, besides, some fossil fuels are polluting, so we need to search for more clean energy sources for our next generations. The biomass pellet using is an effective way. The pellet mill is the machine to produce biomass pellets for biofuel. Pellet mill for biofuel pellets is the typical machine of ABC Machinery, since the company was built, the pellet mill has existed. The pellet mill for biofuel pellets can be generally divided into two kinds, flat die pellet machine and ring die pellet machine. Flat die pellet mill is usually used in small scale production, the customers use the biofuel pellets to cook and heat. Ring die pellet mill is usually matched with other auxiliary machines, like hammer mill, drying machine, cooling machine and packing machine, etc. In a word, the ring die pellet mill is usually used in the large biofuel pellet production line. The pellet mill can turn the waste biomass materials into useful biofuel pellets, which is be beneficial to people. The biofuel pellets produced by pellet mill can be the substitute of the traditional fuels, which reduces the environmental pollution. The pellet mill equipment can bring huge profits to the users. Using the pellet mill has become the trend of the future, and the pellet mill is easy to operate. 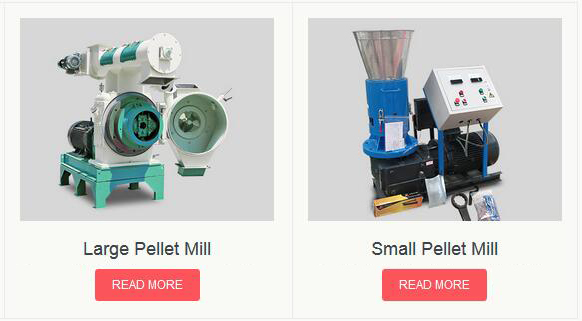 The uses should purchase the proper pellet mill according to their raw materials. It must be easy to get and collect the raw materials, only by that, the pellet mill can work continuously and effectively. The users should make preparation before starting the pellet mill, for example, the moisture content and size of the raw materials should be proper, you can use the hammer mill and drying machine to help you. Then you should preheat the pellet mill, after the temperature get to the rated level, you can add raw materials into it. You can not feed materials at large quantity at once, for it is easy to block. After the production is finished, you should stop feeding firstly, then stop the machine. That is to discharge the materials in the machine and it is convenient to use for the next time of production. It is time for you to start the biofuel pellet business, the pellet mill for biofuel will bring you huge profits and bring more convenience to our future. Please don’t hesitate to contact with us! We are here to waiting for you.